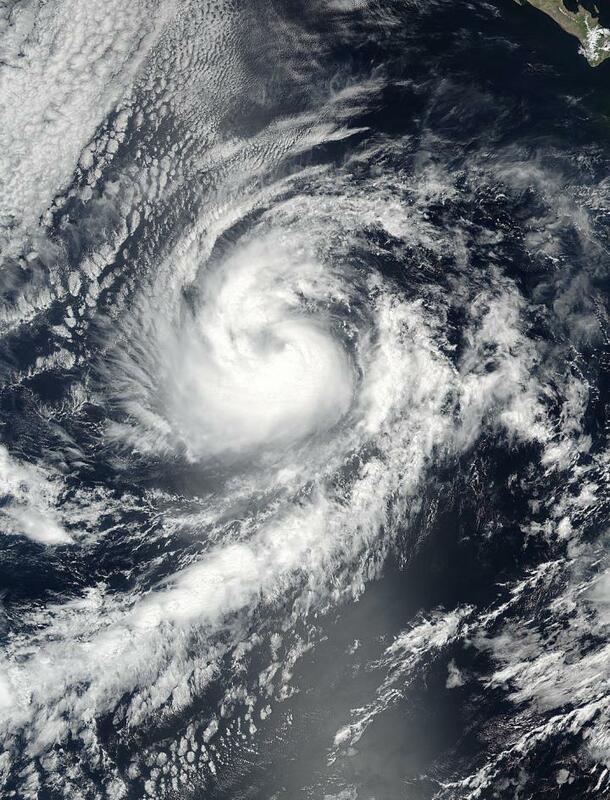 The sixteenth tropical depression of the Eastern Pacific Ocean Hurricane Season formed on Saturday, Sept. 10 at 11 p.m. EDT and became a hurricane named Orlene early on Sept. 12. NASA-NOAA's Suomi NPP satellite captured an image of the strengthening storm. At 5:00 p.m. EDT (2100 UTC) on Sept. 11, 2016, NASA-NOAA's Suomi NPP satellite passed over Orlene when it was a strong tropical storm. The Visible Infrared Imaging Radiometer Suite (VIIRS) instrument aboard the satellite captured a visible image of the storm. Using the Suomi NPP imagery and other satellite data, the National Hurricane Center noted "visible, infrared, and microwave satellite images indicate that Orlene continues to become more organized. The cyclone has well-defined curved bands, and a recent SSMIS image showed that it has a mid-level eye feature." At 5 a.m. EDT (2 a.m. PDT/0900 UTC), the center of Hurricane Orlene was located near 17.1 degrees north latitude and 119.1 degrees west longitude. The National Hurricane Center (NHC) said that Orlene is moving toward the northwest near 9 mph (15 kph). A turn toward the north-northwest and then north with a significant decrease in forward speed is expected during the next couple of days. Maximum sustained winds have increased to near 80 mph (130 kph) with higher gusts. Additional strengthening is forecast during the next day or so. For additional updates on Orlene, visit the NHC website: http://www.nhc.noaa.gov.